We require an imaginative, ambitious and resourceful teacher of Geography. For the right candidate, looking to progress their career there is the opportunity to lead the subject within our large Humanities Faculty. Teaching could include to A level; GCSE and KS3. The Humanities Faculty is one of the largest and most experienced in the school encompassing History; Geography; RE; Economics; Business and Psychology. You will be able to demonstrate commitment and understanding in order that every student gets the personal support and challenge they need to progress and reach their full potential. We are dedicated to delivering a learning experience to all students which is stimulating and enjoyable, drawing from a wealth of extended learning environment and enrichment activities. Foxford is an 11-18 vibrant, multi-cultural school which is known for its friendly and supportive ethos and its ambition to succeed. You will be joining Foxford Community School at an exciting time as we have recently become part of Castle Phoenix Trust. The Trust prides itself on being the kind of place people want to work where everyone recognises the buzz of excitement and togetherness, whatever stage they are at in their career. 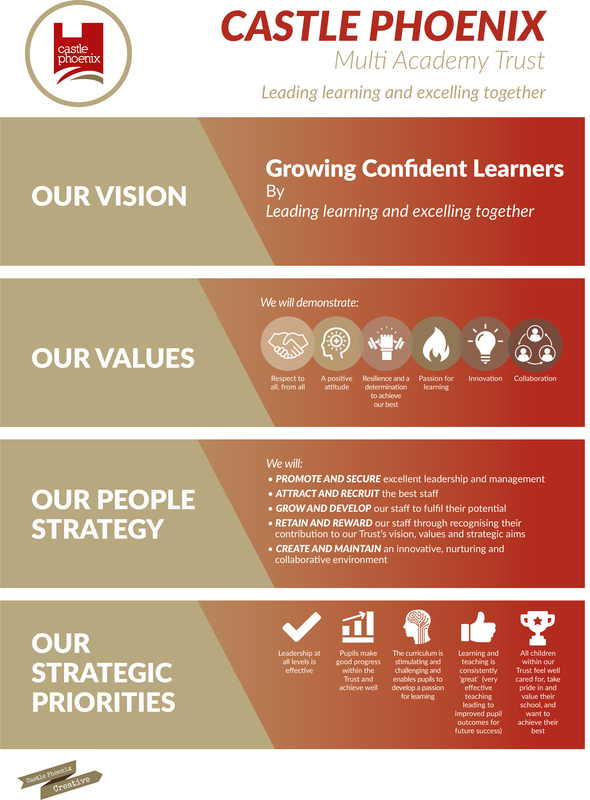 We invest in ensuring the quality of our relationships, fostering and building strong teams to share good and innovative practice, to promote learners’ achievements and to be the best that we can be. •	Opportunities for progression, through our Teaching School Alliance, well established in developing practitioners and nurturing excellent future leaders, with a range of bespoke courses and qualifications, including our Aspiring Leaders, NPQML and NPQSL programmes to help you achieve your ambitions more quickly. •	A strong commitment to staff wellbeing and recognition, through the Trust people strategy, and a range of benefits which include the provision of an iPad, the teachers’ pension scheme, cycle to work scheme, discounted gym membership, free parking and an employee discount scheme. Visits and applications: The head teacher, Ruth Williamson, would be delighted to meet you and talk about the opportunity, please email aliw@foxford.coventry.sch.uk to book a visit. Application packs are available to download on www.wmjobs.co.uk www.tes.co.uk or by email from Ali Wilkins, HR manager,aliw@foxford.coventry.sch.uk.